Jams and marmalades are incredibly versatile. 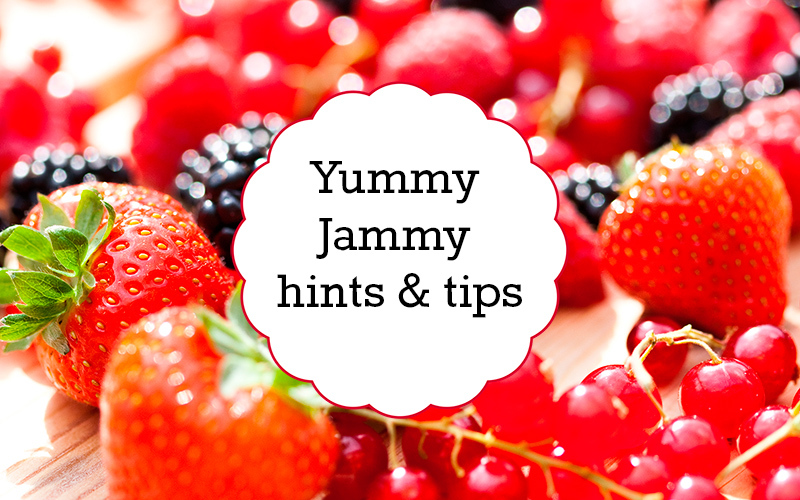 Used as a key ingredient in cooking, to enhance flavour or to save you from ice cream drips, we’ve shortlisted our top 10 yummy jammy fruity hints & tips! When making tomato based sauces and soups, add a teaspoon of Streamline Less Sugar Blackcurrant jam to bring out the sweetness of the tomatoes. If you fancy a change from Mango chutney, try mixing some Streamline Less Sugar Apricot Jam with a dash of lime juice and a sprinkle of chopped red chilli. Add a fruity kick to your vinaigrette with a little Streamline Raspberry Less Sugar Jam. A little jam in the end of your waffle cornets will save you from ice cream drips! Try a different kind of snack… An oatcake with a heaped tablespoon of low fat soft cheese and a good teaspoon Streamline less sugar cherry jam. That’s about half the calories you’ll find in a flapjack! Frying duck fillets? Make the most of those pan juices by adding some Streamline Less Sugar Orange Marmalade. Make a no-churn ice cream in just a few minutes by lightly whipping 500ml double cream, stirring in 500ml Greek yogurt and then folding in 450g jam. Pour into a container and it’s ready for the freezer! Try it with Streamline Less Sugar Black Cherry Jam or Strawberry Jam. A spoonful of Streamline Less Sugar Apricot Jam will mellow the heat of your curry. Give plain yogurts the sweet treatment by stirring in a teaspoon of Streamline less sugar jam (compared to an off the shelf fruity yogurt you’ll cut down on sugar too!). For a fruity alternative to mint jelly, mix 4 tablespoons of Streamline Less Sugar Blackcurrant Jam with 2 tablespoons of balsamic vinegar and some chopped fresh mint.